Have you ever hired someone who seemed perfect for the job but then wasn’t? Have you every tried to hire the “best person for the job” and then they turned down the offer? Why can it be so difficult to find really good talent sometimes? And by “really good”, I mean the right fit for the job and company culture. Sometimes these steps are called by different names. The reality is they flow together and are part of one hiring process continuum. That’s why the first is Process. It’s the structure ensuring that all moving parts are increasing the opportunity to hire the right fit. Conversely, avoiding low quality process – which just means a process that’s getting in the way – will help avoid mistakes that lead to the wrong hire. Right now, let’s say your overall hiring process is sound and not getting in the way. Where, then, does hiring the right person start? This discussion begins with recruitment. Actually, it begins with the Recruiter. 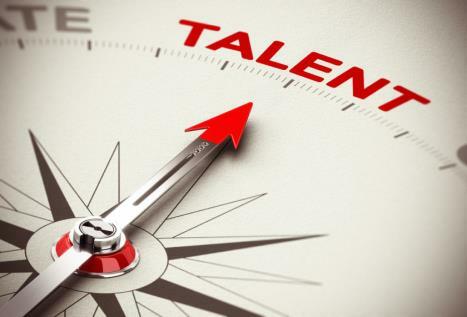 A skilled Recruiter intentionally and systematically uses the recruitment and hiring process to create opportunities in these areas (think of these as areas of recruiter competency). Many recruiting articles found in online blogs focus on the hiring process. Taking that to the next level, the discussion is now about skills and competencies of the Recruiter. Naturally, recruiter competence highly impacts the ability to hire the right fit for the job and the company culture. Depending on the size of the company the person acting as the Recruiter may be an HR Generalist, the company Owner, the Hiring Manager, an external agency, or an internal Recruiter. However, even though one person is acting as the Recruiter, every person in the hiring process must be recruiting to hire great talent. Let me say that a different way. To hire the right fit - that is great talent as defined by the hiring manager - every person that all candidates come into contact with must understand their part in the process and how to leverage their conversations to recruit. In this way, recruiting competencies is important for everyone in a selection process to understand. Is the Recruiter similar to a sales person? There is a selling element but it’s really more of a promotional element that educates and builds a candidate’s desire for the job. This is necessary so candidates will volunteer to go through an, often times, stringent selection process. This isn’t fun for the candidate! (Candidates are not “professional candidates”, so the whole selection and hiring process can be somewhat discomforting or painful for anyone.) Though there is an element of this, recruiting is not selling. Besides this, there are many skills needed to be an excellent recruiter. Instead of reading a long set of skills, let’s review the areas for competency - where skills determine effectiveness. This gives context to the purpose for recruiting skills. Remembering that a Recruiter can sometimes have a much different title - learning about these competencies can help managers (a) observe recruiter effectiveness and determine if the right recruiter is assigned to each open position, (b) create a better working relationship with recruiters leading to improving results, and (c) inform interviewers on expectations related to recruiting the right talent. 1. Connecting & Creating Relationship - Recruiters must understand relationship. Requirements and Background - First, there is the ability to understand the relationships between the requirements for success in the position, the company and team culture. Then they must connect that to a candidate’s history, job profile, and motivations. Hiring Managers and Candidates – Hiring Managers are much more than their title. Candidates are much more than a profile and resume. The effective Recruiter connects with each one, builds trust very quickly and thus uncovers the deeper motivations of those they are working with. Developing Relationship - This is more than ongoing relationships, it about deepening the relationship, by leveraging process, over time to learn more about Hiring Managers and candidates. This gives the recruiter the foundation to create and generate influence. Influence is used throughout the process to advise, coach, teach, and close – both Hiring Managers and candidates. 2. Building & Assessing Credibility – Recruiters are constantly and consistently building their own credibility, while assessing it in others. Educate and Inform - The Recruiter creates and builds credibility by demonstrating their complete understanding of the job, the Hiring Manager and Team, the market and the data (market intelligence). All together, this information and data educates and informs the approach to sourcing, recruiting and the offer. When a Hiring Manager perceives the Recruiter as being very credible, they seek consultative advice throughout the process. This deepens and broadens the Recruiter’s influence. Trust and Transparency – Of course, the Recruiter assesses the credibility of candidates. The experienced Recruiter also assesses the credibility of the information from the Hiring Manager and digs deeper into needs and motivation when necessary and appropriate. Managers are often under various types of pressure that, sometimes, hinders transparency. At times, specific needs for hiring may be vague or unclear. As the Recruiter seeks clarity, with interpersonal skill, more trust is developed. Increase Influence - The Recruiter assesses competence of the candidate throughout the selection process, formally and through conversation. The ability to leverage the selection process for accurate assessment demonstrates recruiter competence. The ability to tactfully communicate assessment findings and discovery against job requirements elevates Hiring Manager trust. Developing more trust increases the foundation for influence. Opportunity for Influence – Understanding the motivations of all parties involved is often needed to hire excellent talent, the right fit. The degree that a Hiring Manager and a candidate trusts the Recruiter is directly related to the Recruiter’s ability to influence the outcome. The Recruiter leverages these relationships to create opportunity to align motivations and fulfill needs and desires, resulting in a successful hire. These are the main areas of competency for effective recruiting, whether the recruiter is someone in HR, an agency, or a Manager. Understanding how relationship, credibility, competence and closing work together in the context of recruiting can assist a Hiring Manager to observe the behavior and results of their recruiter and selected interviewers. The hiring team’s abilities can then be more easily directed to improve selection and hiring results. The skills needed to increase effectiveness in these areas can definitely be learned. However, for deep effectiveness a combined development approach is necessary. The combined approach would include course training, situational mentoring and skill coaching, similar to a program like Think & Close Like a Headhunter. I’ll share this quote from Simon Sinek, “None of what I’m telling you is my opinion. It’s all grounded in biology. Not psychology, biology…responsible for human behavior, all decision-making…” Recruiting is very much about human behavior and decision-making. Written by Miki Jo Resto, Vice President & Senior Consultant VPI Strategies & Bright Talent, Inc- Miki Jo is a Business Leader who increases company value in the market place through Talent Strategy and Organizational Development. As a Senior Advisor and Consultant, she partners with business owners and executives to create and strategize competitive advantage through leveraging human capital, organizational talent, and organizational development. She directs and leads major initiatives, with change and implementation strategy, across the global organization. Miki Jo’s Bachelor’s Degree is Marketing Communications, from Colorado State University, and she attended Antioch University as an M.A. student in Organizational Psychology. She holds certifications that range across organizational resources and leadership assessment, strategic action planning, team conflict assessment and management, and leadership coaching. Did you find this story informative? We would like the opportunity to keep you up to date on all of our training articles. Please Sign Up for our newsletter so we can do just that. Leadership Dashboards: How managing the past can hurt your future. What Are We Not Saying? We are America’s Management & Leadership Center for Professional Development. Our well-rounded business content is designed for Leaders & Managers to implement change with ease & improve accountability amongst their teams. Here you’ll find Articles from 30+ Expert Consultants, Coaches & Thought Leaders, access practical Business Templates, learn new skills & connect to our Expert Panel to answer your organizational challenges. Do Wellness and Leadership Mix?